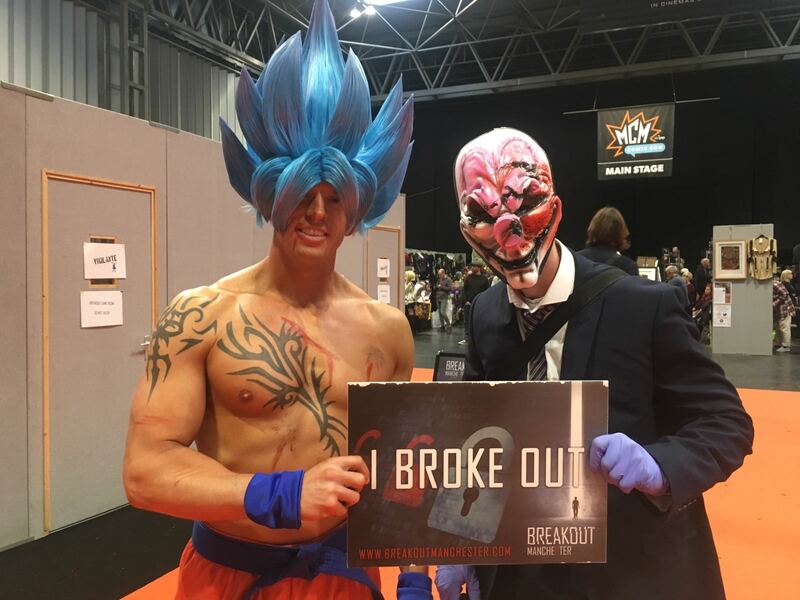 Amongst the Orange is the New Black cast, Lucifer stars and The Walking Dead crew, if you're lucky enough, you might spot our very own Breakout staff at this week's MCM London Comic Con! Story: Your friend has been acting strange for a while, and you suspect he is the infamous superhero Breakout Boy. You have snuck into his bedroom to try and find as much evidence as possible, and stumble across his secret lair. You must collect the pieces of his costume before he returns home, to confront him with the truth. Story: Go and defuse the device to save Comic Con! Premise: Teams have to pass a series of tasks in order to 'defuse' the device. Once the device is defused, they obtain a code to begin unlocking boxes to find a key to escape. We've themed the puzzles for the device around characters from Marvel, with a 'dungeons and dragons' esque character sheet. In addition to this, some board game related aspects feature, also. Our third and final pop-up game will make its grand debut at the MCM London Comic Con event, so if you've already encountered us at previous events, fear not - we have something fresh to bring to the table! Should you and your friends wish to get stuck in, the pop-up rooms cost £8 per person, with a maximum of 6 people in a room at a time. So, if you see us at the event, feel free to pop down and say hi - unlike Venom, we don't bite (sorry, we couldn't resist! ).